If you’re in a hurry, check out our top pick, Manfrotto Nitrotech N8, a sleek and modern video head with features to satisfy both newcomers and professionals alike. Professional filmmakers need a lot of options. Different situations and environments call for bespoke filming methods. One of the ways you can tailor your shoots to rise to the occasion is by utilizing specialized tripod heads. While all tripods come with a standard head, these heads are not well suited to highly individualized filming styles. They lack the control and the flexibility of specialized heads, which is why most serious photographers and filmmakers also use specialized tripod heads. 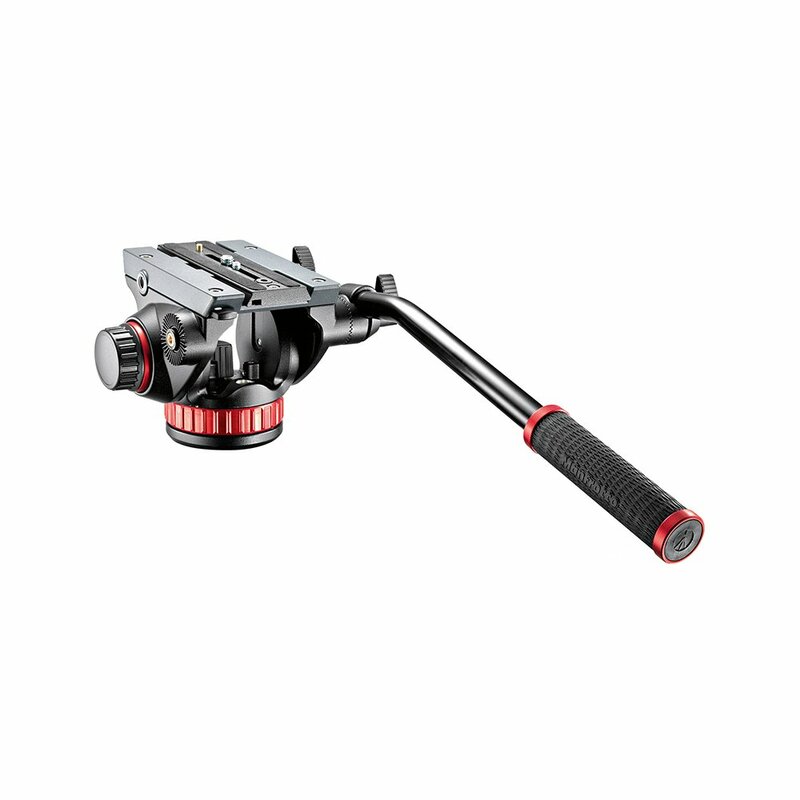 These include pan-and-tilt heads, gimbal heads, pistol grip and fluid heads. Fluid heads are a sub-variety of pan/tilt heads. Fluid video heads utilize a hydraulic damping system that offers smoother, steadier movement than the larger, mechanical pan/tilt heads. This is especially useful for compact camcorders, as they are generally more sensitive to vibrations and jerky movements. Fluid heads come in a wide range of price and performance. You can purchase them on a budget for less than $100, or spend $1000+ on a more advanced model. If you’re not sure what level of fluid head you need, this guide should help you. Before you invest any money in a fluid head, you need to take a close look at your setup. How heavy is your tripod? What is its minimum and maximum payload? If you’re into hiking or action photography, give serious thought to how much your rig is going to weigh when everything is factored in. In addition to your tripod and your camera, here are some things to bear in mind when shopping for fluid tripod heads. A camera plate is important for most tripod heads, including fluid heads. Most good camera plates come with a quick-release mechanism that allows you to quickly detach your camera from the head. A camera plate without this feature is generally not worth your consideration unless you’re on a very limited budget. Since the fluid video head is a modified form of pan/tilt heads, you’ll want to pay close attention to how much flexibility you have in this department. 360º of pan and 90º of tilt is desirable. In addition, the more control you have over the pan and tilt, the better. Some users prefer stiff drag control, where others prefer smoother motions. When it comes to counterbalance, look for two things. One, a good fluid head offers a counterbalance with fine steps, as this makes the head easier to control and operate. Second, the lower the counterbalance weight, the better off you’ll be. Try to find a counterbalance weight as close to zero pounds (or kilograms) as possible. The importance of a level to your head is pretty obvious – it helps you set up your tripod head so that it is level, giving you better results from your videos. Not all fluid heads include a level, however; this is often something that is left off of less expensive models. Some low-cost models aren’t true fluid heads, but rather friction heads. Friction heads aren’t nearly as smooth as fluid heads and don’t offer the same performance. Try to make sure your fluid head is a true fluid head if at all possible. One look at the Manfrotto Nitrotech N8 tells you that this is a serious piece of hardware. The sleek, modern design not only looks fantastic but offers superb performance, providing a vast array of functions and features to satisfy both newcomers and professionals alike. One of the best features of this video head is its awesome counterbalance system, which provides continuous counterbalance at weights ranging from 0-17.6 pounds (0-8 kg). 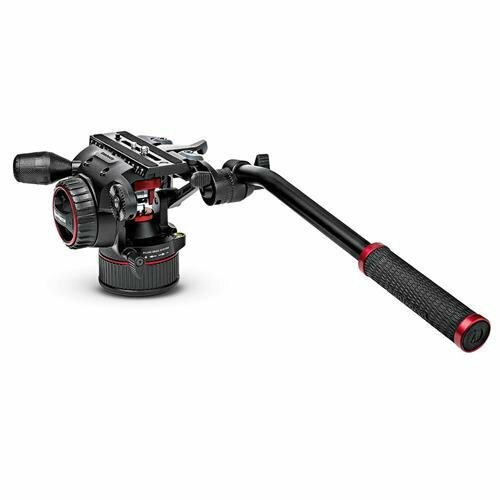 It features variable pan and tilt, a side lock plate attachment and a large number of 3/8” connectors making room for various camera attachments. The flat base mount is designed to resist rotation, providing a secure base for your camera and accessories. As you might imagine, the video head is fairly heavy, weighing 6.3 pounds (2.86 kg). This makes it ideal for people who employ a lot of different attachments in their projects. Whether you’re an up-and-coming video blogger or a serious, hardened professional, this is one of the best fluid video heads on the market, hands down. Not everyone can afford to spend hundreds of dollars on a tripod head. Most Youtubers and streamers have to start out small, and that includes your equipment. But just because you don’t have a lot of money to work with, that doesn’t mean you don’t want to get the most out of your equipment. The Meco VT-1510 Fluid Drag Video Head is definitely built for people on a budget. While it is extremely light and compact, weighing just 1.9 pounds (0.86 kg), it’s also not the most durable, and it’s limited maximum payload makes it best suited for small DSLR cameras and action cameras such as the GoPro. However, the VT-1510 makes up for this in its versatility. What impressed me the most about the Meco VT-1520 is its pan and tilt range. It offers a full 360° of pan and -85°/+90° of tilt for a flexible, versatile performance. It also includes a bubble level and a sliding quick-release plate for convenience. This may not be a top-tier video head, but it was clearly designed by experts who are familiar with what goes into making a great video head. If you’re a professional filmmaker working in a studio, you’re going to need a larger, more durable video head, something that is capable of bearing the weight of a heavy camera and equipment. But if you make Youtube videos on a budget, or you simply want something inexpensive to take with you on a hike, then the VT-1520 is one of the best deals around. 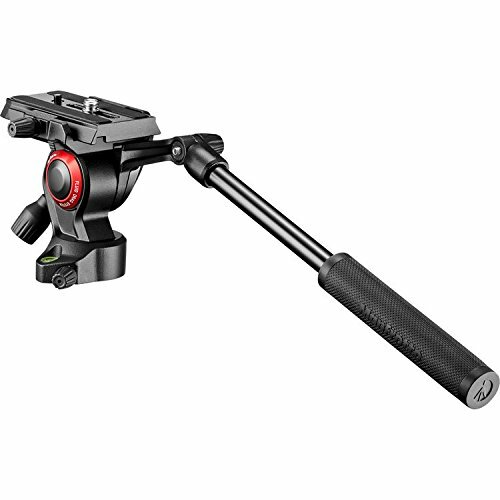 Manfrotto is known for their high-quality tripod heads. While no one is going to mistake the Manfrotto Be Free Live Fluid Head for a $500 model, it offers decent performance at a great price. Although it may not be expensive, the stylish design certainly doesn’t look cheap either. One of the most impressive aspects of this fluid head is the weight. Clocking in at just 0.84 pounds (0.38 kg), the Be Free is an ideal camera head for hiking or outdoor shooting where you have to haul your equipment. It has a safety payload of 8.82 pounds (4 kg), so it works well with even fairly large camcorders. It is made with aluminum, so it’s fairly durable, and it offers fixed drag fluid cartridges for both pan and tilt. It also includes an optional pan bar to enable more fluid motions. While this is a pretty good fluid head, especially for the price, it isn’t perfect. The most prevalent issue is a lack of tightness – it’s hard to tighten the knobs, and sometimes to even keep them tightened. As a result, this is really not suited for high-end professional work. But then again, you get what you pay for. Benro offers a number of options in their S-Series of video heads, ranging from the S2 (priced at around $80) to the S8, which we reviewed for this article. The Benro S6 is firmly in the middle of the S-Series. It won’t provide the same sophistication as a more expensive model, but it has some advantages over cheaper products. One of the more notable differences between the S6 and the Be Free (or, indeed, the S8) is its maximum payload capacity. The S6 can support cameras up to 13.2 pounds (6 kg), offering 50% more payload than most similarly priced models. In addition, it offers full 360° fluid pan, as well as a pan bar for smooth, fluid motions. The S6 offers sliding quick release plates for superior balance forwards and backwards, providing good support for your camcorder. At 2.6 pounds (1.17 kg), it’s not terribly heavy, and it is backed by a limited three-year warranty. Like most tripod heads, the S6 is not without its faults. The pan and tilt locks aren’t as tight as they could be, and the counterbalance lacks a certain finesse. Nevertheless, this is a decent fluid video head that offers great performance for the price. It might not be enough for a consummate professional, but vloggers or internet streamers will likely find it adequate. If you’re looking for a fluid head in a similar price range to the Benro S6 but need something a little heavier, you might want to consider the Manfrotto 502 Fluid Video Head. With a maximum payload of 15.4 pounds (7 kg) and a counterbalance of 8.8 pounds (4 kg), the Manfrotto 502 will support no just your camcorder, but all of the equipment and accessories you need to film. The fluid head has a number of Easy Link connectors for your attachments and offers both ¼” and 3/8” screws for your camera. The top plate is designed to quickly detach and adjust for easy balancing, and the pan fluid drag provides easy ergonomic operation. In addition to a 360° pan, the fluid head offers + 90° / – 85° of tilt for awesome flexibility and amazing footage. At 3.53 pounds (1.6 kg), the head isn’t overly cumbersome but is large and stable enough to offer reliable support for all of your attachments. The 502 video head is backed by a five-year warranty, ensuring years of reliable performance. The biggest problem with the head is the 3/8” threads, which aren’t as sturdy and secure as I would like. For the price, however, this is a pretty good fluid head, especially for newcomers. The Benro S8 Video Head is significantly heavier than the smaller S6, weighing 5.29 pounds (2.4 kg). In spite of its much more significant weight, it’s maximum payload is less, just 8.8 pounds (4 kg). You’re not going to want to lug this head up Mt. Shasta, but the added weight provides better stability than the S6, making it better suited for local shoots. The S8 shares a number of features with the S6, including a sliding quick release plate for balancing and 360° of smooth pan rotation. The drag on pan and tilt is excellent, giving you plenty of control over your filming, and the large size of the head makes this a good fit for large, heavy rigs with a lot of equipment and accessories. Where the S6 is well-suited for shooting on location, the S8 gives you the tools you need in the studio. The Benro S8 is not the equal of more expensive fluid heads, but it provides a lot of value for the price. The average vlogger or indie filmmaker will likely find this to be perfectly acceptable, but the consummate professional will likely want a little more. Like the S6, the S8 is backed by a three-year warranty. Like the Benro S-Series of fluid video heads, E-Image has a wide variety of options to choose from as well, ranging from less than $200 to over $3500. This actually places the 75mm E-Image GH06 Fluid Video Head on the lower end of the price range. This may be one of E-Image’s cheaper fluid heads, but that does not mean this is a budget model. Priced at nearly $500, this is a professional-grade tripod head that all but the most demanding will appreciate. The quick-release plate can be used in two different ways for more convenience, and a bubble level makes it easy to keep your camera level. The fluid head has a counterbalance from 0 to 5, and can support a maximum payload of 13 pounds (5.9 kg), leaving room for plenty of attachments to accompany your camera. The head also has a variable fluid pan with stepped settings that give you more flexibility. The head weighs 3.5 pounds, making it ideal for professional shooting environments where you can take advantage of all your tripod attachments. One of the more expensive E-Image video heads, the E-Image GH10L is a professional-grade, high-end tripod head. It’s definitely not cheap, and as a result is not really suited for a lot of vloggers, streamers or casual users. But for serious filmmakers or for those who insist on the best, this is a powerful option. The GH10L offers even more counterbalance options than the GH06, with counterbalance options ranging from 1-7. It also features the same adjustable fluid pan system that the GH06 employs, giving you a greater amount of freedom and control over your pan and tilt. An intuitive quick-release plate offers two ways to detach. The fluid head is very sturdy. It weighs 4 pounds (1.81 kg) and has a maximum payload of 22 pounds (10 kg). The head telescopes up to 570 mm, and the head provides a 1/4”-20 threaded mounting point to support a variety of attachments and accessories. This is a serious piece of equipment, and while it is too expensive for most amatuers, it is a good choice for professionals. We cap off this list with the Cartoni Focus HD, an expensive, high-end fluid video head designed for professional videographers and filmmakers. Backed by a five-year warranty, you can depend on the Cartoni Focus HD to provide years of reliable performance. The Cartoni Focus provides top-of-the-line performance and functionality. It supports 360° of pan rotation and +/- 90° of tilt. It offers continuous counterbalance and continuous fluid drag for better performance and stability. The fluid head has a maximum payload of 22 pounds (10 kg), and offers a number of ¼” threads for additional attachments. At 6.7 pounds (3 kg), the Focus is fairly heavy and large, so it’s not the best choice for shooting on location, especially if you are filming by yourself. For professional filming projects, however, the Focus provides some of the best performance possible. It’s not cheap, but it is an excellent value. While there is no shortage of fluid video heads on the market, many of the products leave much to be desired. Many more are inexpensive budget models that work fine for casual use but don’t hold up well when really put to the test. If you need a video head that will last provide years of satisfactory performance, you need to be discerning in your choices. Fortunately, there are good choices to be found, no matter what your budget looks like. Whether you’re looking to spend less than $100 or need top-of-the-line equipment, you will find the products here to satisfy every budget and every product. 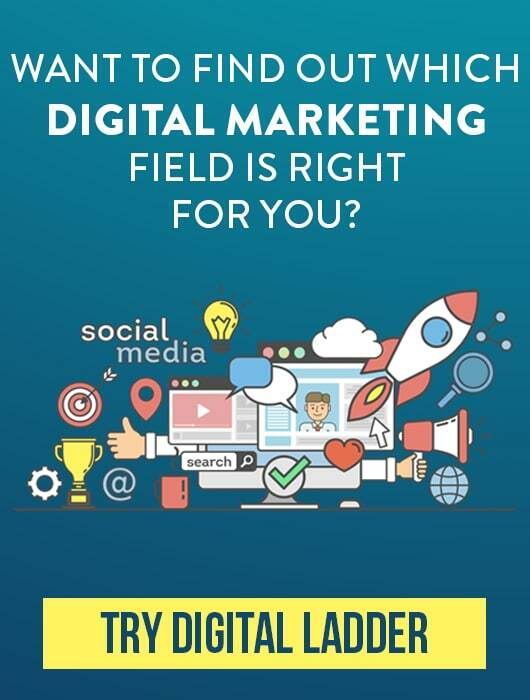 If you have any feedback, let us know in the comment section. We’d love to hear from you!